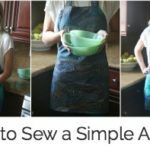 You are here: Home / sewing / How to Sew an Easy Tote Bag! It’s Wednesday, so that means a new video! 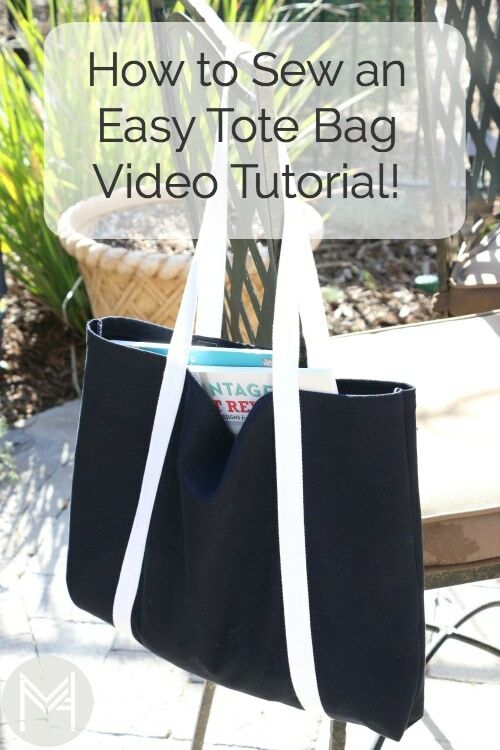 Today’s video is a tutorial on how to sew an easy tote bag! I wanted to make this project easy as well as stylish so I made so the straps continue all the way to the bottom of the bag. I picked this dark denim and white cotton webbing for a high contrast look, but this would look fab with a fun canvas print! If you make a project, please tag me on social! I LOVE to see what YOU make! 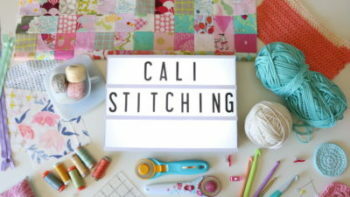 For those of you who like Pinterest, here is a good image to pin so you can remember this tutorial for later! Hem top of bag on both sides, iron down 1/2 inch and then again 3/4 of an inch. Place a pin at the center of the webbing and place that at the bottom of the bag. Arrange straps and pin as shown in the video. Place the bag right sides together and line up handles. 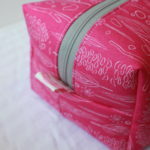 Pin sides of the bag and sew at 5/8 seam allowance. 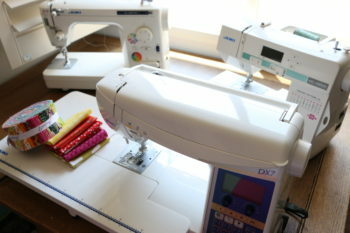 Finish seams however you like, zig zag stitch, pinking shears or serger. 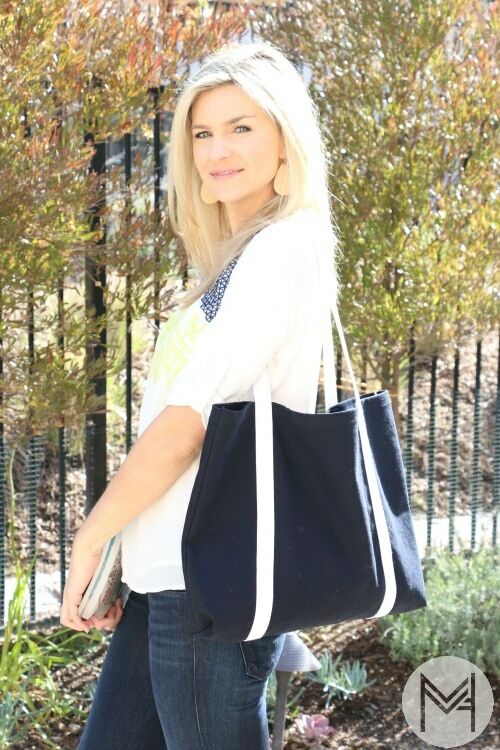 Make a chalk mark on the bottom of the bag. Line up chalk mark and side seam. Measure down 1 inch and make a small mark. Measure side to side 2 inches and make a 2 inch mark perpendicular to the original chalk mark made along the bottom of the bag. Sew along the 2 inch chalk line back stitching on both ends. Finish this small seam as desired. Fray check raw ends of webbing. My favorite Clover Glass head pins! Here is the video tutorial! Have fun! I just started seeing a few days ago & I finished my first project, which was your envelope pillow. The tutorial was great & easy to follow. 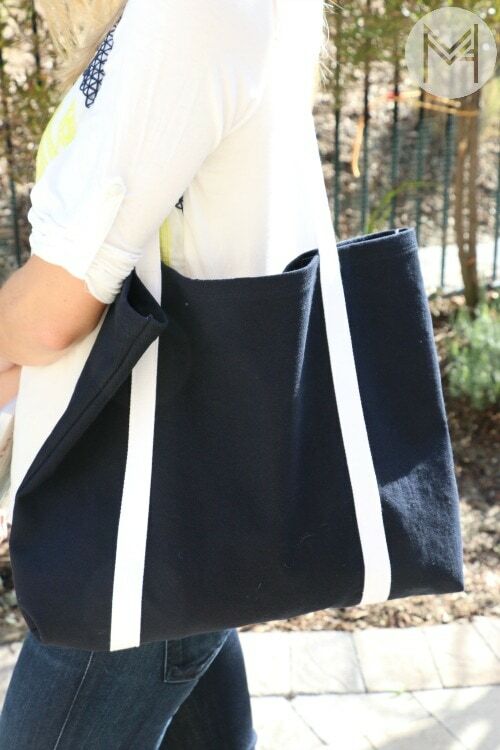 I love this tote bag tutorial, it looks really easy. I was wondering if you can make a tutorial for a pocket & inside zipper divider compartment for this bag? Love your tutorials! Thank you for the tutorial. It is easy to follow and simple for me. 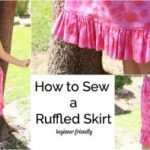 I am new at sewing world. I would like to try this tutorial. Just subscribe your video at youtube. Hi! I love your videos! 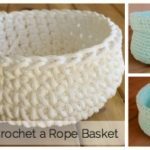 I am very new to crochet. I’m making the easy baby blanket. It looks good so far. I think anyway lol. I am done with the first ball of yarn. I used the same kind you did but I am using a N hook instead bc that’s what I had. The width is a little shorter than I pictured. Is there anything I can do about that now other than taking it apart and starting over?